Turkish food is delicious and a trip to a Turkey will soon have you convinced that Turks are culinary masters - the offerings so incredibly tasty you're sure to be back for seconds! Are you partial to a pasty or a cheese slice? Börek is the Turkish equivalent and comes in all shapes and sizes, filled with all manner of savoury fillings. 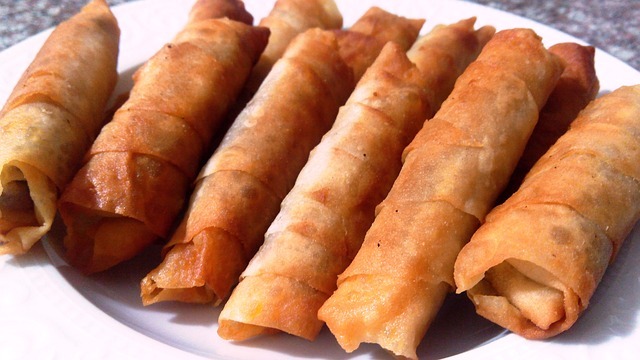 Sigara Börek is perhaps the most well loved. These crispy white cheese and herb filled rolls vaguely resemble cigarettes, hence the name. Then there's the popular breakfast choice of Su Börek (water börek) which could almost be likened to a warm white cheese lasagne. Other options are Gul Börek (rose börek) referring to tasty spirals of either feta cheese or spinach filled pastry, or Kol Börek, a meat or cheese filled puff-pastry pocket. If you're running short of time and fancy a snack on the hop, do as the locals do and head along to a bakery and sample the börek on offer - it's cheap, tasty and you won't leave disappointed. Corba refers to soup and Turks really do love a big bowl of comforting goodness especially as a start to an evening meal or after a heavy night on the town. Mecimek (lentil) is the most popular coming in regular or spicy, tomato or chicken soup are also well-loved staples. For the adventurous head along to a lokanta (local restaurant) and try İşkembe (tripe) or Kelle Paça (sheeps brain), both Turkish speciality soups - but be careful of the garlic sauce that accompanies it, it will certainly keep the vampires away! This wouldn't be a true roundup of the best Turkish food if we didn't include döner kebab! Pop thoughts of the local fish and chip shop spit right out of your head, a traditional Turkish döner is far superior. 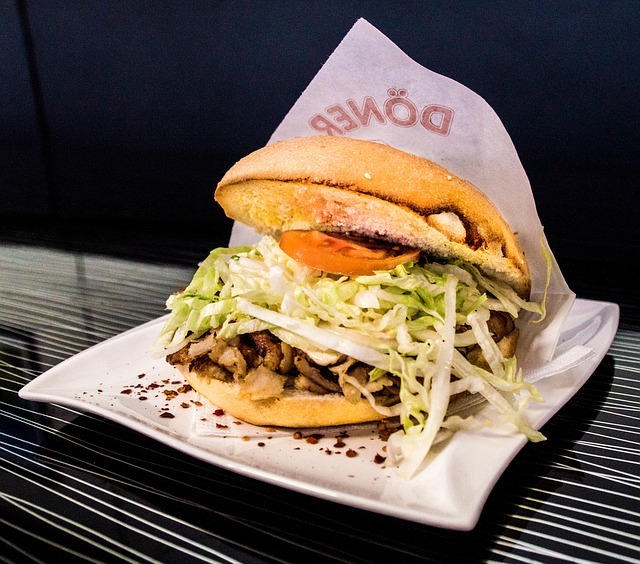 Turks take pride in their döner with many kebab shop owners making the kebabs themselves. Either chicken or lamb served from a revolving spit in fresh pide, half-bread or lavas (wraps). It comes with salad and garlic or chilli sauce. You get the regular versions or, if you're lucky, you will find a restaurant that revolves the meat over coals or wood resulting in a unique and utterly delicious flavour. Meze could most be likened to Spanish Tapas. In Turkey meze refers to a wide variety of cold or room temperature dishes served as an appetizer or as a platter for a lunch or light meal. Watercress or carrot in garlic yoghurt, stuffed vine leaves, aubergine fried in garlic and tomato sauce, hummus or the sigara börek all tend to appear on a mixed meze plate. Meze is the ideal introduction to a good Turkish meal. A true Köy kahvalti (village breakfast) is a must-do in Turkey. To most foreigners this is lunch. Here in Turkey it's a huge affair and one well loved by the locals. Fresh fruit, cucumber, tomatoes, green and black olives, all manner of preserves, eggs, two or three varieties of cheese and tons of fresh bread or börek all served in tiny dishes in the centre of the table. The idea is to share the spread with good company, dipping into the dishes as you fancy in-between sips of cay (tea) and a chat. Start the day the Turkish way knowing you're unlikely to want anything else until dinner. Köfte refers to meatballs. 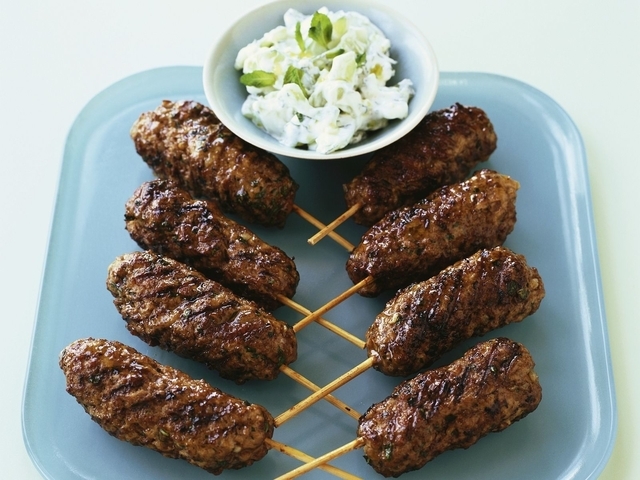 Ground minced lamb, beef or lentil patties cooked in many different ways and loved by kids of all ages. There's the simple grilled variety served with chips and rice to the side, or many regional variations that are baked in sauce, spiced with different herbs, or wrapped in flatbread with salad and eaten as a snack. If you are a fan of pizza, pide is a must! A thin and crispy, boat-shaped base filled with cheese and sucuk (spicy beef sausage), vegetables, ground meat or spinach all chopped up in slices and served with a little seasonal salad. Pide makes a fabulous lunch and many return home preferring it to its Italian counterpart. Chances are you will associate dolma with stuffed vine leaves but it actually refers to anything stuffed. Dolma is a popular Turkish dish with many variations. Stuffed peppers, aubergines and tomatoes are also popular. For vegetarians opt for the spiced rice with currants and pine nuts, for meat lovers the mince and onion is a great choice. Do get out and sample the food on offer in Turkey, don't just stick to your familiar dishes as you really would be missing out. We hope this little list will set you off in the right direction, although there are many more must-try foods in Turkey begging to be mentioned. For more info on Turkish food and culture, please see our Food Blog. To view the latest selection of property for sale in Turkey, please see Turkey Homes.